Billy had the pleasure of being a part of a project that we hope will impact a generation. Many know the prayer, now you can know the song. Enjoy the video of The Serenity Prayer Song by Serenity Prayer Project and some thoughts from Lori Morris Werch and Billy McLaughlin. Sometimes loss can turn into love, and this is what occurred with our family. In June of 2013 our family’s home burned to the ground. Through our faith, the support of family, friends, neighbors, and our community we have been able to rebuild and regroup. Upon this experience, instead of replacing all that we had before, I decided to try to make a life long dream come true. I contacted an artist that I had listened to for years and boldly asked if he might consider meeting with me and hearing my ambitions. He said yes. I explained to him that my desire, for a very long time, was to take the brilliant words of Reinhold Niebuhr and turn them into a melody where all could hear. I especially felt that this artist, Billy McLaughlin, would understand and feel what I was envisioning based upon the way his songs moved me. 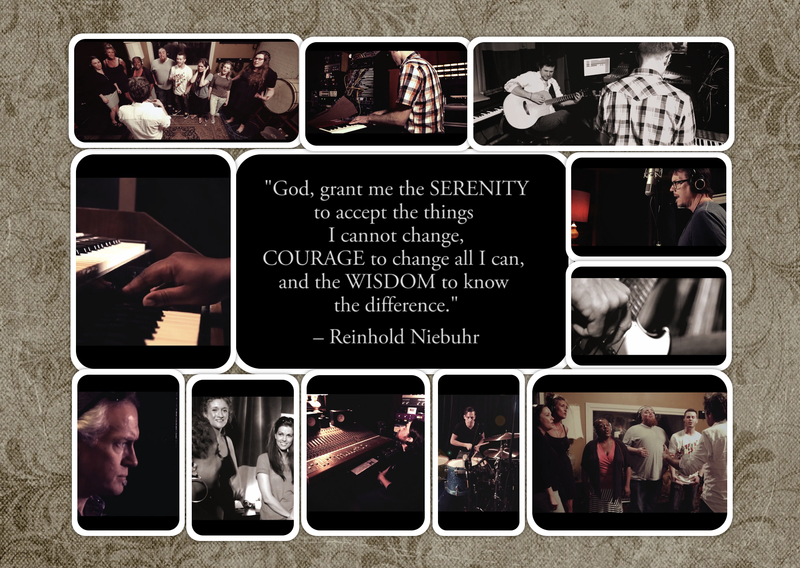 These words, taken from The Serenity Prayer by Reinhold Niebuhr, were first shared with me by my grandfather. I have always felt that they are incredibly far-reaching and can not only bring peace to those with chemical addictions, but also to those who have experienced loneliness, depression, food disorders, mental illness, physical illness, financial difficulty, discrimination, oppression, and all forms of abuse. I am currently a graduate student of Northwestern University in St. Paul, MN and working on my Master’s in Divinity. Through my coursework, I have learned that Reinhold was a Professor of Divinity at Yale University and the words that he so brilliantly crafted were not by chance. It is in great honor of his wisdom that we bring you The Serenity Prayer through song in hopes that it resonates deep within you and heals what ails you. The next morning I followed my usual routine of starting the coffee pot and doing the dishes so the coffee would finish brewing just as the last dish is put away. I was my usual half-awake self as I dug into the dishes and I just started singing a little melody that was running through my head during the night. As I was putting the last dish away and filling my coffee cup I realized that the words to the prayer fit the melody perfectly with just a repeated portion of the last phrase. The song had come to me in my dream and I was already singing it by my first cup of coffee!!! I couldn’t believe it!!! I called Lori and sang it to her over the phone. The project I said no to is here for you now because she made it possible by skipping vacation, convincing a reluctant composer to reconsider, and allowing me to pull together ( with the invaluable assistance of arranger and co-producer Nate Sabin) a world-class group of talented musicians who captured the passion and power of the Serenity Prayer. If this song resonates with you and the people you choose to share it with, like me we can all be grateful for how Lori chose to celebrate the most awful situation by making a gift of music to share a powerful message of healing with the world.